When turbo charging and super charging just won't do, then it is time to TURBINE CHARGE! The AeroCool Turbine Fans move an incredible 37.44CFM of air at a mere 950rpm and an almost silent 19.66dba! The unique turbo prop style nose cone is removable so you can use the Turbine Fan in any 120mm push or pull situation. 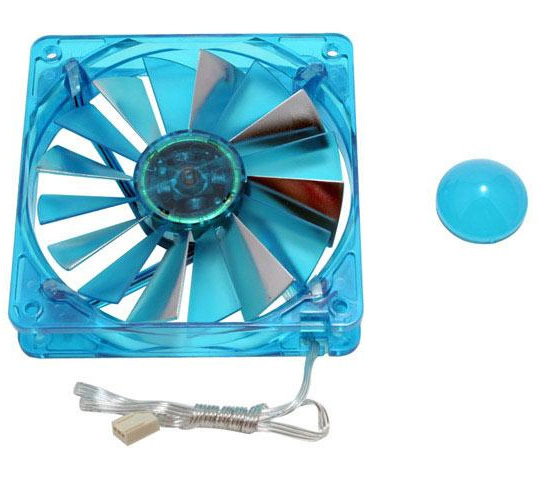 So "Turbine Charge" the air flow in your case with the AeroCool 120mm Turbine Fan!